You might have read our previous interactions with the Connectional Table here. 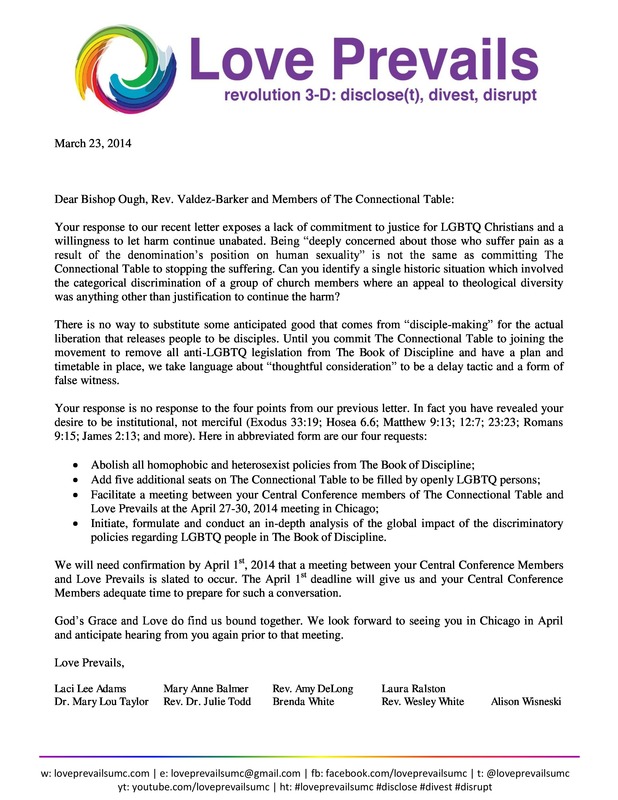 We received a response from them on March 13th and replied on March 23rd. 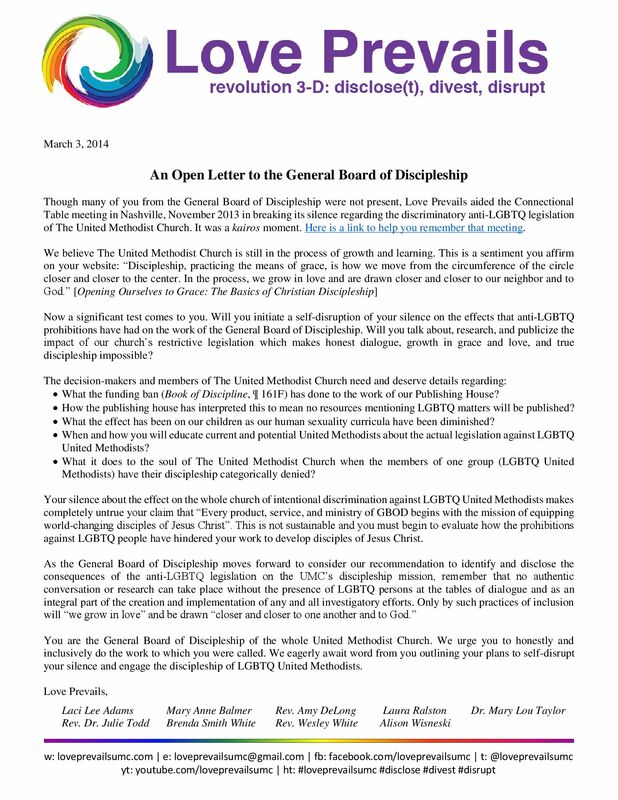 Please read their letter and our response below and feel free to share as we work towards the end of discrimination in our denomination. 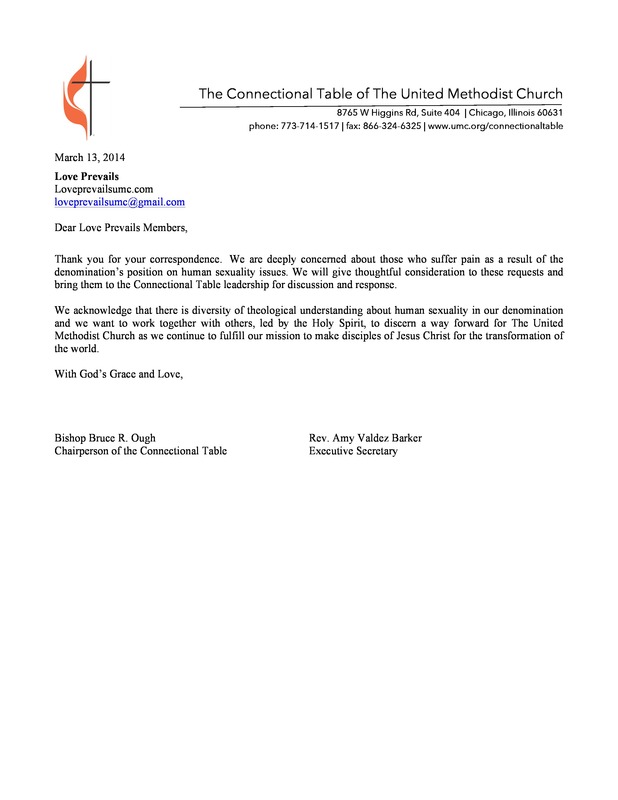 On March 3rd, 2014, Love Prevails sent a letter to the members of the General Board of Discipleship. Please read and share this important letter. Here is the link to remember the Connectional Table Disruption.